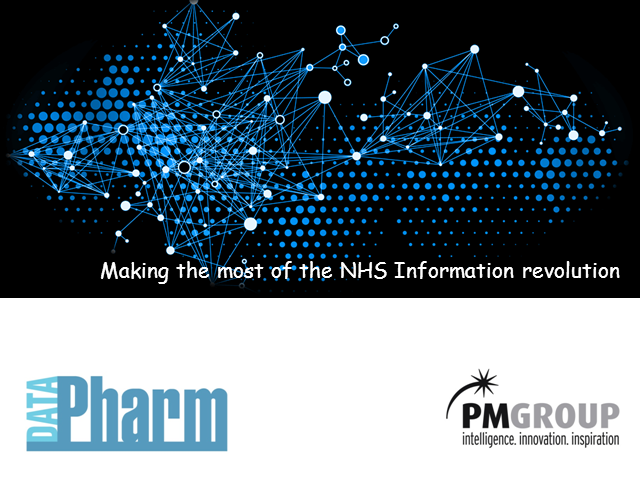 As a result of recent Government data transparency initiatives, there has never been more NHS information publicly available, and even more detailed prescription data will be available later this year....but how can you turn these disparate data sources into valuable information that is quickly and cost effectively available, to help you make critical business decisions? The NHS is a source of rich data , including hospital episode statistics (HES), medicines prescriptions and GP performance measures (QOF), more and more of which is now becoming available in the public domain and at increasing levels of granularity. However these are held in silos, in different formats, and so making the most of this massive opportunity is a real challenge for the pharmaceutical sector. Datapharm, in association with PMGroup are pleased to offer you an invitation to a free webinar to explore how you can make the most of this data revolution. Datapharm, have a well established reputation with both the NHS and the Pharmaceutical industry, for turning complex data into user-friendly information. Please join us to share their insights.